Angel Hannigan has been working as an actor and musician in Dublin over the last number of years. Her latest role is that of Laurie, in the feature film 'Nightshift' by Greenflash Productions, directed by Steve Hall. As a musician, she has worked with Roger Gregg’s Bee loud Glade Cabaret, performed at many music festivals, including Electric picnic and The Lunasa festival; The Arena Arts Show on Rté as well as performing regularly in smaller nights and venues. She runs and produces the Collective where she will regularly perform with a varying array of talented musicians. 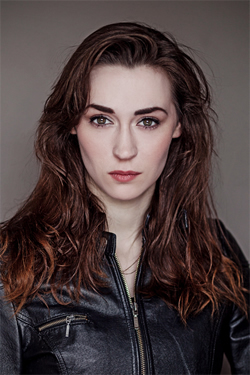 As an actor she has performed as Lady Macbeth in Smock Alley Theatre, as well as writing the new play “Tide Riders”, based on the writing of Marie Hannigan, which featured in Smock Alley’s Scene and Heard Festival 2017. 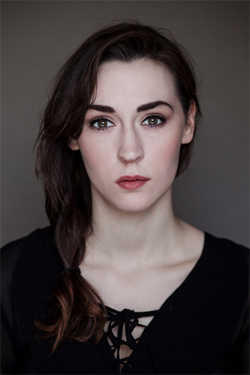 Before graduating the Gaiety School of Acting she received the Bank of Ireland Millennium Scholarship and the Gaiety school of Acting Bursary. Donegal, Monaghan, Derry, Belfast, Midlands, Dublin, Limerick, London, R.P., Liverpool, Welsh, General/Southern American, New York, Boston, Australian, New Zealand.